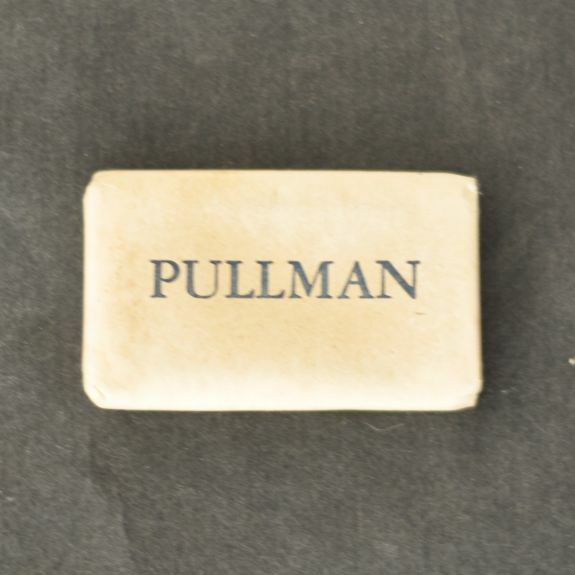 Size 2.25" x 1.375" x .125"
Description Pullman Individual Wrapped Hand Soap with "PULLMAN" in blue on one side and NOLA Toilet Soap, Iowa Soap Company, Burlington, IA. on the other, also in Blue. 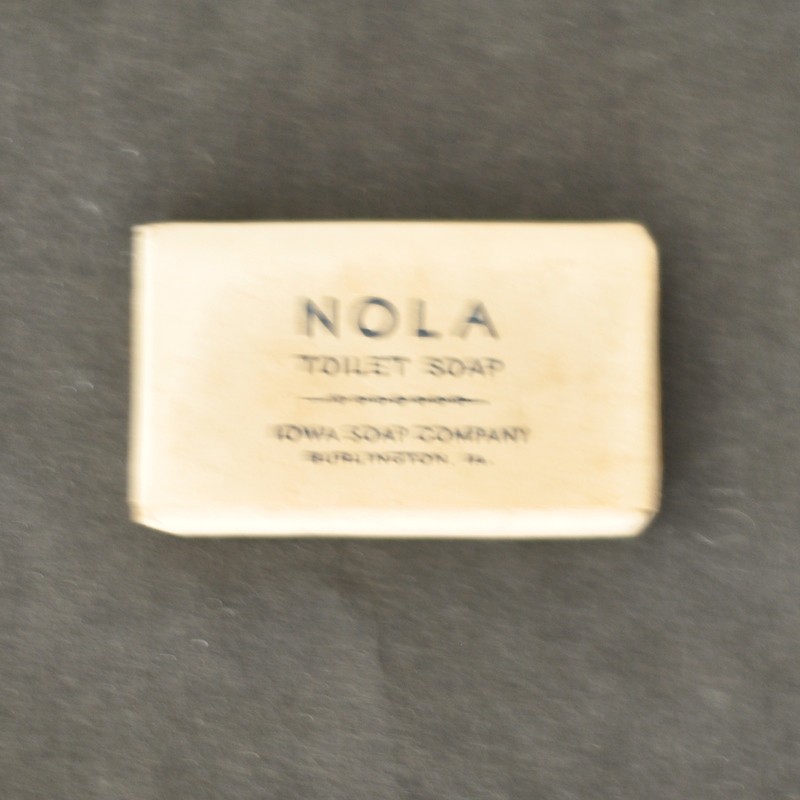 Scan two is blurry, not the printing.